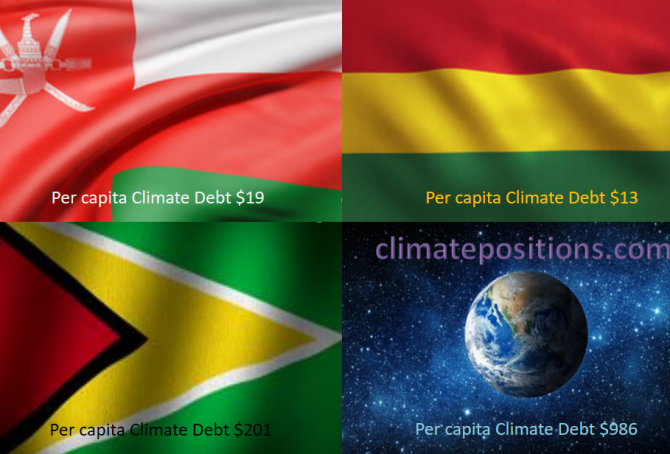 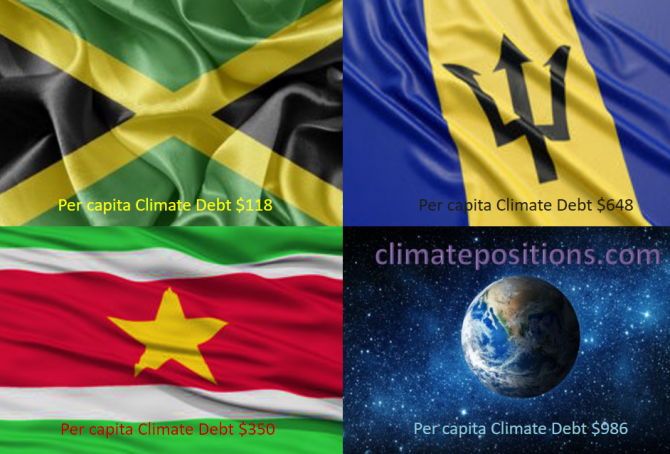 The diagram below shows ‘Share of global Climate Debt‘ in 2010, 2015 and 2017 of Jamaica, Suriname and Barbados (ranked 82nd, 83rd, and 84st). 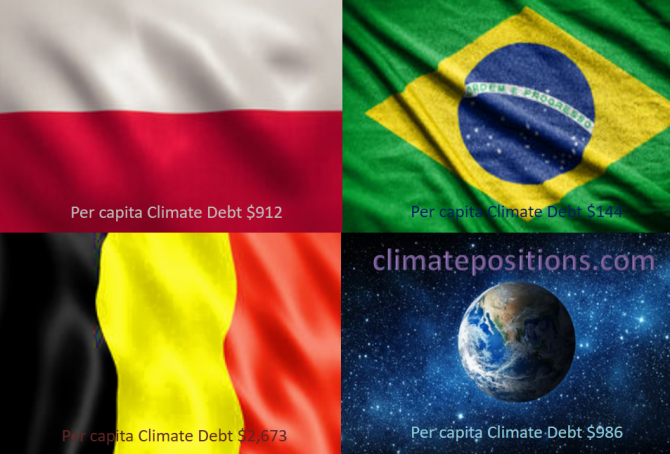 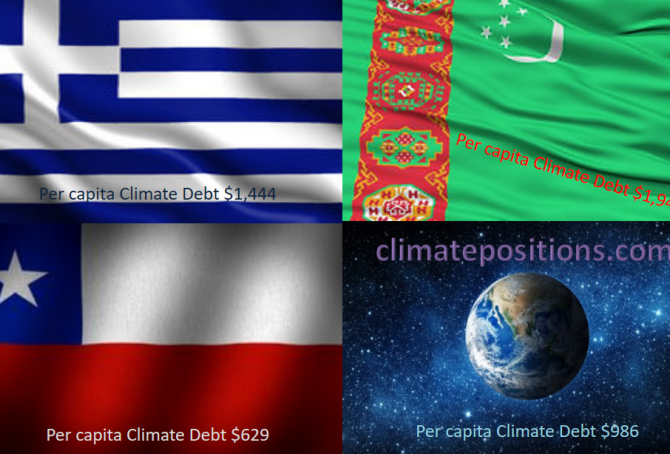 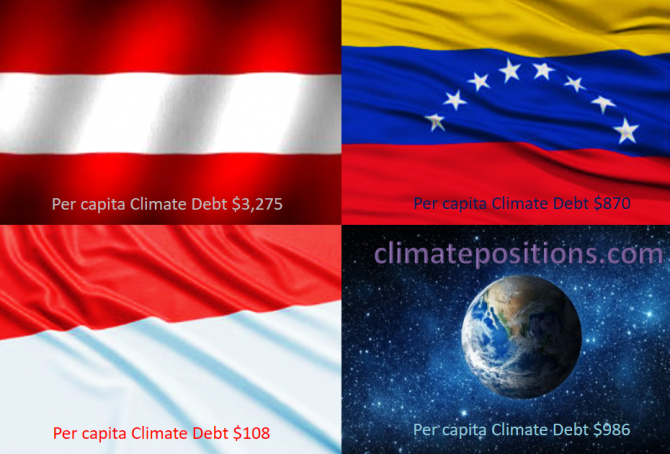 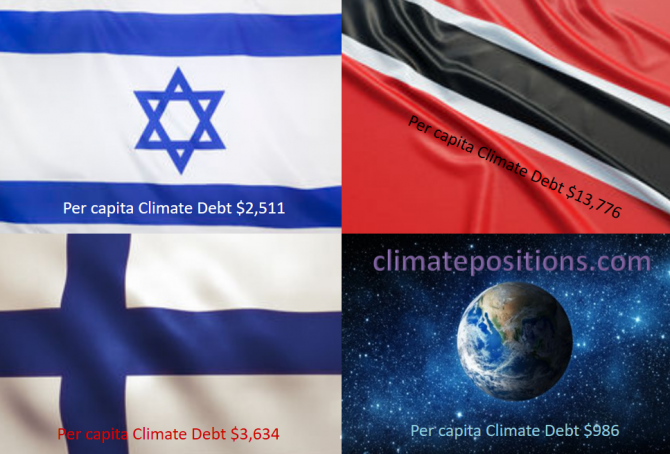 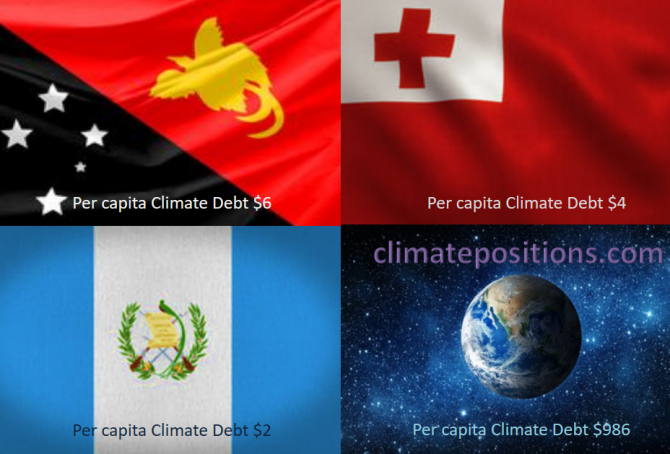 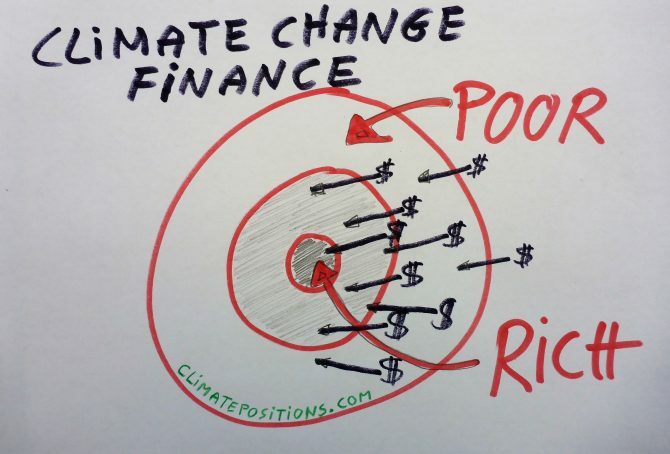 The accumulated global Climate Debt is $7.2 Trillion. 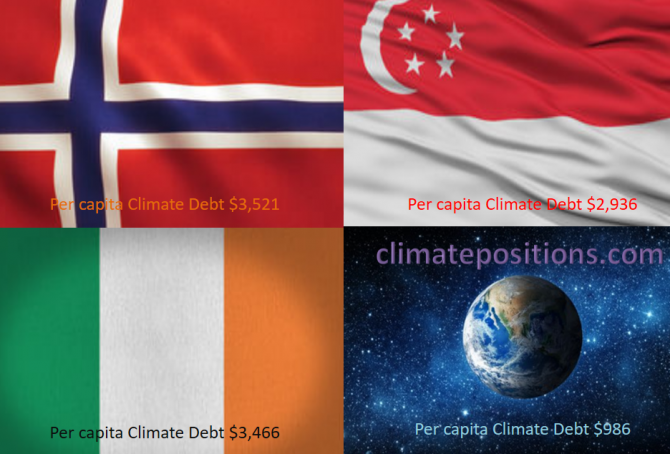 The diagram below shows ‘Share of global Climate Debt‘ in 2010, 2015 and 2017 of Vietnam, Mongolia and Gabon (ranked 73rd, 74th and 75th). 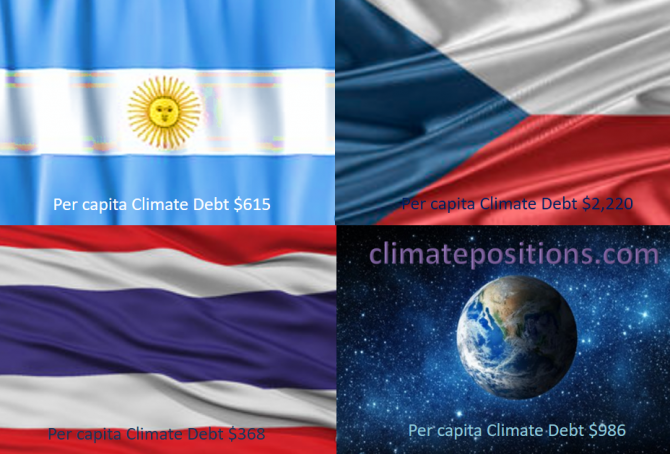 The shares of Vietnam and Mongolia are both growing continuously. 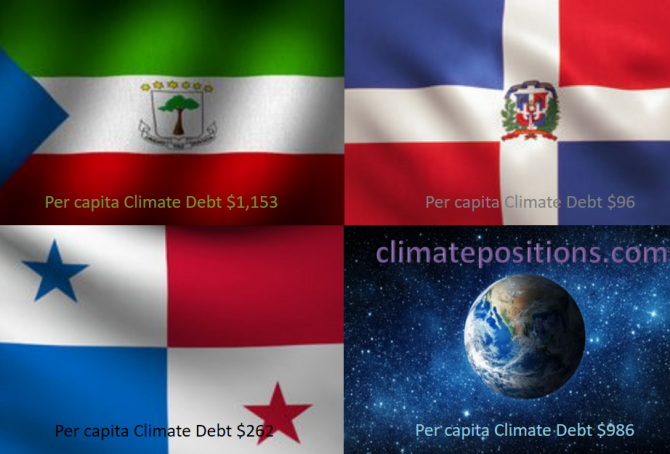 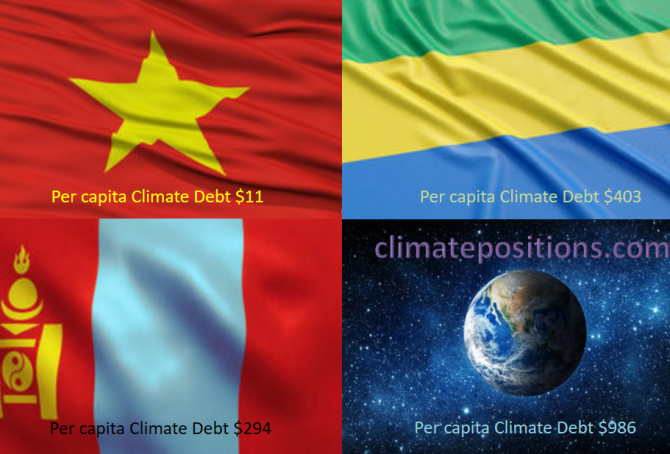 Vietnam and Gabon had zero Climate Debt in 2010. 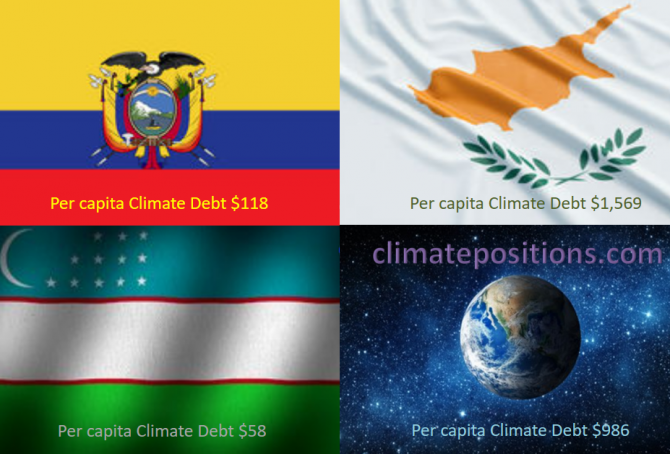 The diagram below shows ‘Share of global Climate Debt‘ in 2010, 2015 and 2017 of Ecuador, Uzbekistan and Cyprus (ranked 67th, 68th and 69th). 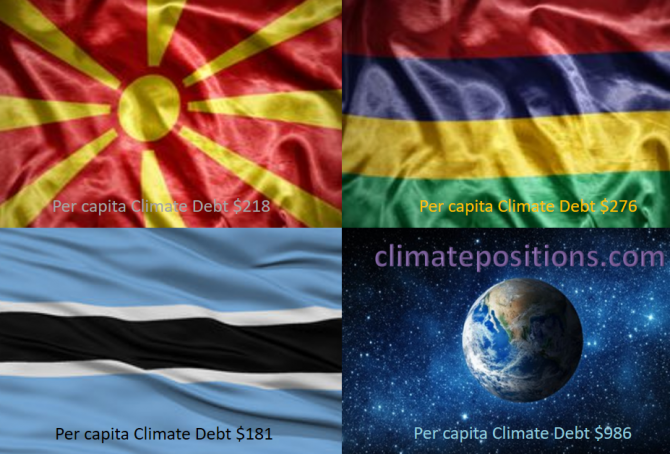 The share of Cyprus is continuously decreasing. 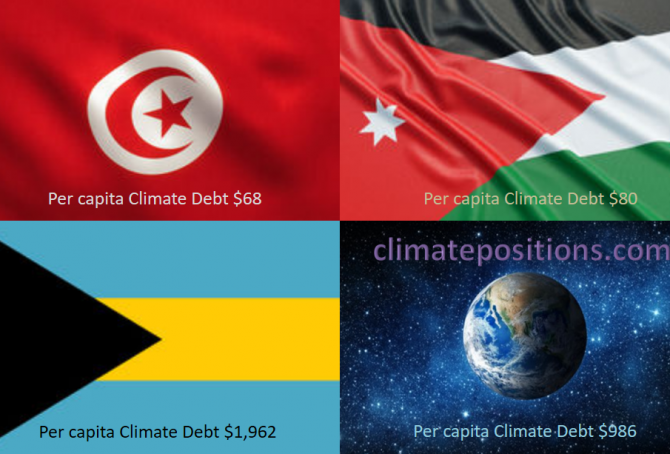 The diagram below shows ‘Share of global Climate Debt‘ in 2010, 2015 and 2017 of Bosnia and Herzegovina, Romania and Lebanon (ranked 64th, 65th and 66th). 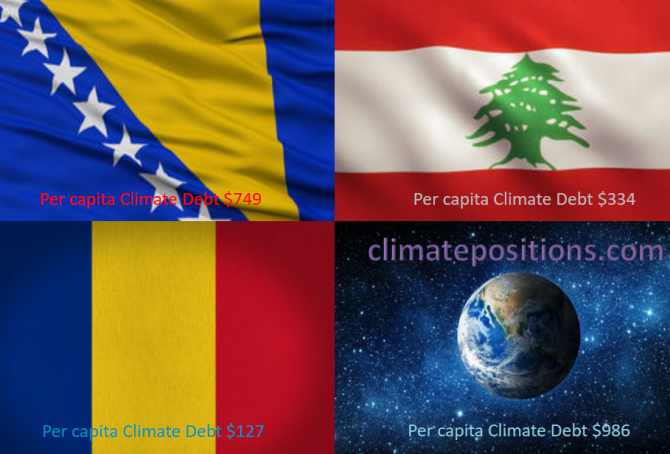 The shares of Romania and Lebanon are ups and downs, while the share of Bosnia and Herzegovina is steadier. 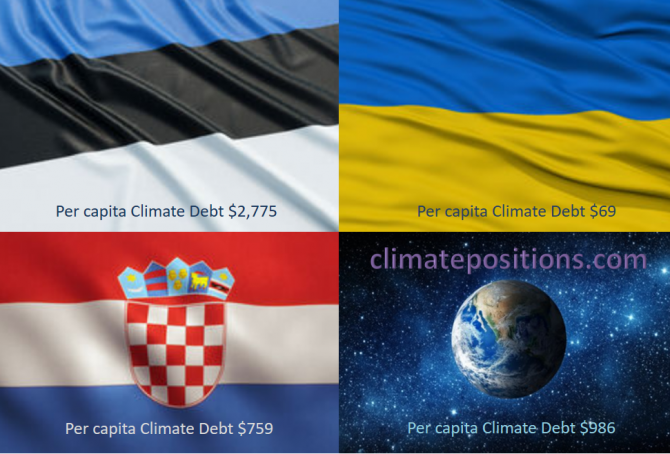 The diagram below shows ‘Share of global Climate Debt‘ in 2010, 2015 and 2017 of Estonia, Croatia and Ukraine (ranked 61st, 62nd and 63rd). 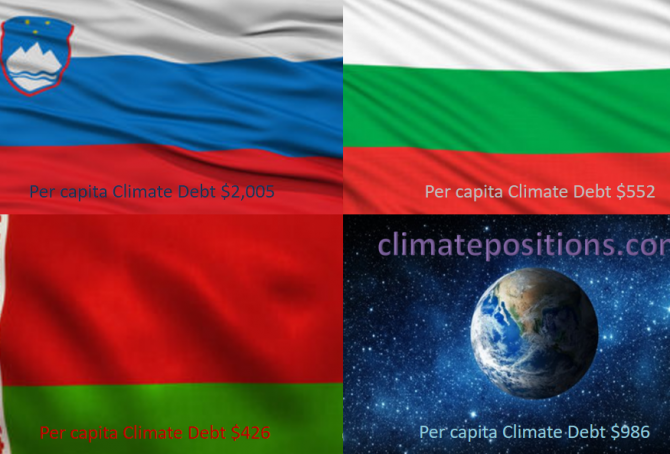 The shares of Estonia and Ukraine are increasing, whereas the share of Croatia is decreasing. 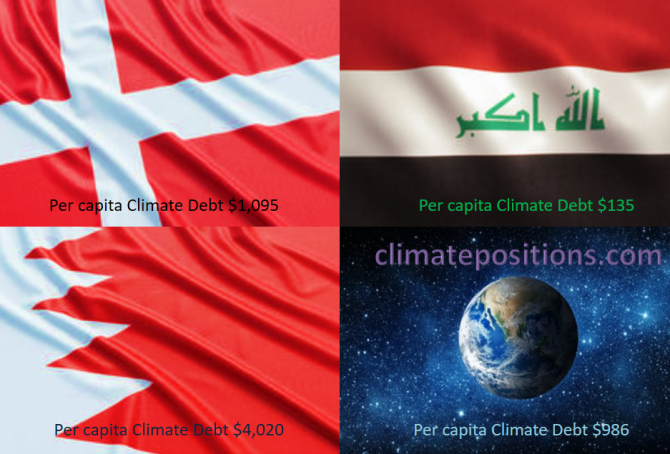 The diagram below shows ‘Share of global Climate Debt‘ in 2010, 2015 and 2017 of Algeria, Egypt and Sweden (ranked 46th, 47th and 48th). 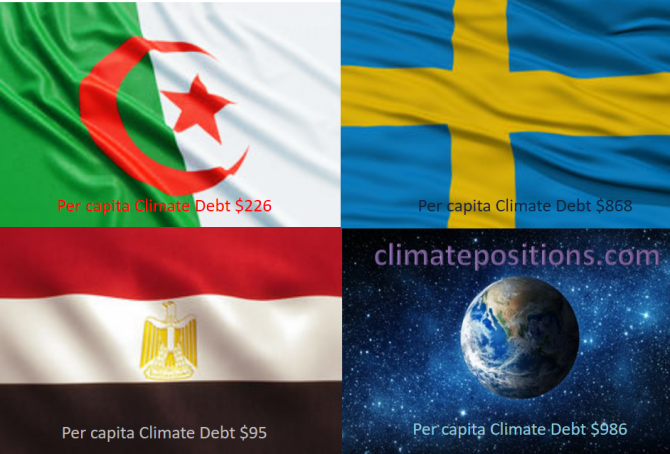 The Algerian share has increased continuously, whereas the Egyptian and the Swedish shares appear to have peaked around 2015.